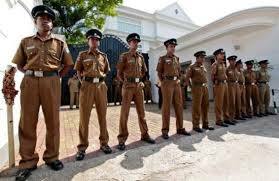 The Police Department said that from this month onwards, all salaries of police personnel will be increased by 40%. The Department further said that, approval has been granted to implement this wage increase from the month of January and that 17% of personnel in the Department have already been given this increase. It will be paid this month to the remaining personnel in the Department who did not receive it last month.